Have you ever wanted to build a beautiful home along the ocean front in Alaska? Here is your chance! Two lots, side by side, each 9,560 sq feet, for a total of 19,120 sq feet located on a quiet road, right on the ocean's edge, ready to be built on. Two separate side by side lots located approximately one mile from downtown Wrangell, asking $180,00 each, possible owner financing with proof of credit, at least 10% down, contract length of no more than 15 yearsRemainder Lot A-2 is 3.603 acres of raw land Lot D is 3. These lots are located within walking distance to downtown Wrangell. You couldn't ask for a more perfect view of the harbor and beautiful Shakes Island. The possibilities for this property are endless. 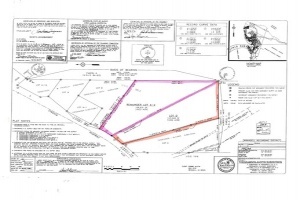 Lot 10b Block 83 Wrangell Town site 6,994 sq feet zoned Single Family Residential, (mostly filled already). Nearly 2 acres! 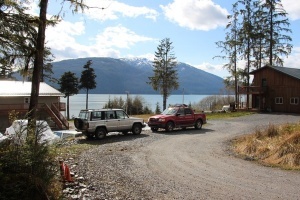 This lot is located approximately 8.5 miles from downtown Wrangell. There is a driveway already in place. A rock wall borders a flat space that was cleared at one time-it's been a little while so the alder are starting to fill it in again, but it wouldn't take much to clear it again. There is a filtered ocean view. This is a raw land lot with the potential for dreams to come true! Once cleared the land has the potential for a water view. Located just a little over 4 miles from downtown Wrangell, this lot can be hooked into city water, sewer and electrical. There is a small stream that needs to be crossed to access the property. 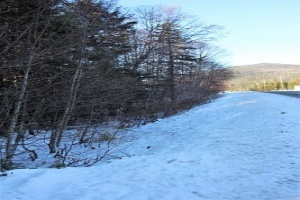 Beautiful 3.7 acre inland lot covered with cedar trees and blueberry bushes. Located off Zimovia Strait between a gorgeous, calm cove and Thom's Lake. Thom's Place subdivision on Southern end of Wrangell Island borders Thom's Place Marine Sanctuary and is located just north of Anan Bear Preserve.